The parent company of the Scottish Australian Mining Company was the Scottish Australian Investment Company, founded in Aberdeen, Scotland in November 1840 with projected capital of £100,000. The shareholders entrusted Robert Archibald Alison Morehead as its Colonial Manager. He arrived, together with Matthew Young, as sub manager, in Sydney in July 1841 in the middle of the severe depression, caused by the fall in the price of wool on the London market. Taking advantage of the situation, Morehead used £30,000 capital to buy up shares in colonial companies and mortgages over valuable properties. By the mid 1840s, the company sought to diversify into other areas of investment, notably wool, but also mining, both copper and coal. The company’s first venture into copper in South Australia in 1846 was ill fated, but by 1851 the company had purchased coal-bearing land in the Hunter Valley and copper deposits near Yass in New South Wales. In 1853, the director’s decided to relocate their headquarters from Aberdeen to London to attract additional finance and expertise. On 5 January 1859 the directors established a new offshoot company to facilitate the exploitation of its New South Wales mining interests. The Scottish Australian Mining Company, with a capital of £80,000, bought the mining interests of the parent company for £30,000 and was also to pay a commission on the minerals produced. Apart from developing the copper mines at Cadia, the two Scottish Australian companies invested in property, Newcastle coalmines and large-scale pastoral stations in Queensland. The investment company came to own the largest sheep station in Australia at Bowen Downs in Queensland (1863) and was the first to open up the Gulf Country (1865-1866). By 1870, the original investment of £30,000 had been increased to over £600,000. 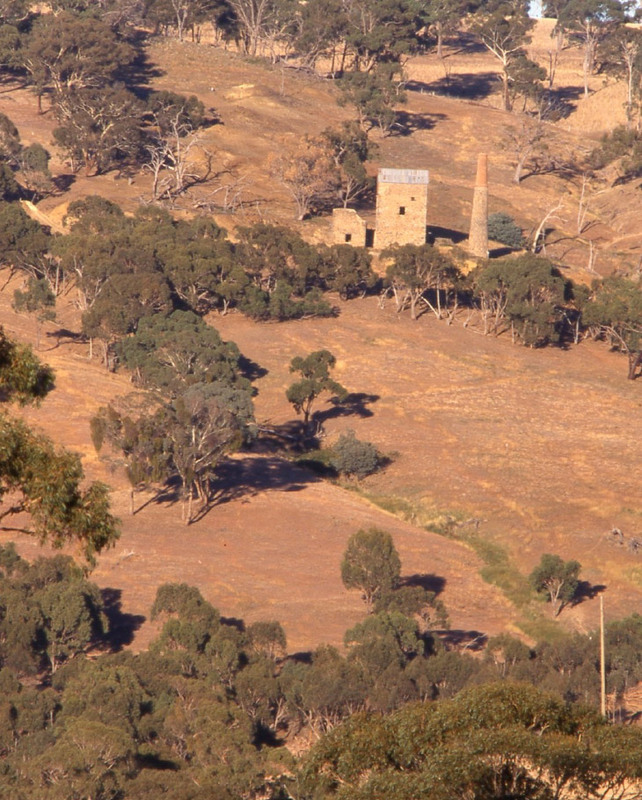 The Cadia Engine House was erected at the South Section Mine, West Cadia in 1865 (Edward Higginbotham, 1998).